When I look at this photograph, it makes me think of a life-boat crammed with children. Watching and listening to them playing marbles or throwing a ball around, you would never guess the heartache and suffering that many have endured. Some had been sold into virtual slavery by their impoverished parents, to try and make ends meet. Others come from families destroyed by the potent cheap alcohol consumed by some day laborers here. The worst cases are the girls who have been raped or molested by their employers or others close to them. But today is Friday, it’s a Hindu holiday and life is good. A local family has decided to celebrate their two-year old’s birthday by having a party with cake and soda for all the kids who squeeze in, three and four to a desk, in the classroom to enjoy the feast even though they have just eaten a big lunch. I was in Delhi for work when I got a message from Edith Wilkins suggesting that I pay a visit to the home for street children that she started in Darjeeling 15 years ago after a lifetime rescuing kids from the mean streets of Calcutta. 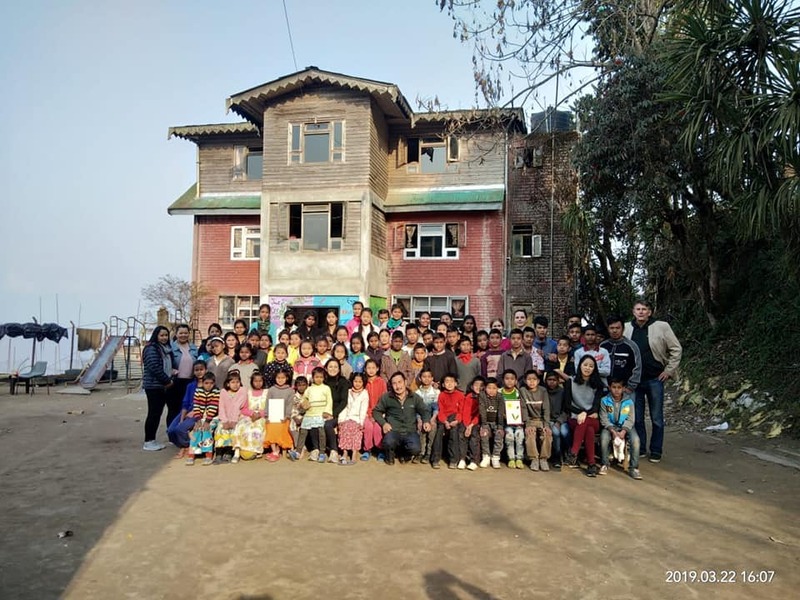 So, to Darjeeling, and an uplifting day spent at the Edith Wilkins Street Children Trust (EWSCT) where currently there are 42 girls and 29 boys in residential care, attending either the preparatory school on the premises or going to local schools. They also have a Drop In Centre which is open to any child to come along and use. No child leaves without having a good meal and 120 children are supported to attend local schools once they reach the required standard to start formal schooling. They are not all cut out for the Indian exam system so there are 20 girls in vocational training, learning how to be hairdressers, beauticians and tailors. About 20 boys are learning how to do plumbing but the popular electrician course ended in 2010 because of lack of funds. On the day of my visit, one of the last electricians to qualify in 2010 drops in to say hello to the director, Anuja Aghalay, and assistant director, Namrata Sharma, who are delighted to see him. Sijash is now 25 years old. Trouble in the family led him to the refuge despite the 90 minute walk every day to the school, and he was then sent for further training. He is now happily married, living with his grandfather, and teaching a younger brother to be an electrician. Another success story is a young girl, Misra, who has no memory of the terrible event which led to her being placed in the school as a three-year old. She and her younger brother hid under a bed while a man raped and killed their mother. The friendly black dog with white eyes that roams the premises was rescued from a dumpster by an Irish volunteer, Catherine Canavan, as a companion for Misra who “is acing all her exams” according to Namrata and wants to study nursing. Anuja Aghalay, the Director, started out as a teacher in the school and then became a field motivator working in the surrounding communities to raise awareness of the programme and the scourge of child labour and child abuse. “It all started in 2003 with a night shelter for eight girls when Edith first came here from Calcutta. Edith is our guide and inspiration,” she said. The centre has provided residential care to 307 girls and 247 boys since 2005 and some 2,500 children have been provided with food, medical attention and education. It has a permit to operate from the Government. The centre has 19 staff including house parents, counsellors, teachers, cooks and guards. There is a sick bay and a visit every week by a government doctor. The most common illness is the dreaded TB. There is counselling to help the kids deal with any trauma in their lives. Meticulous records are kept on every child and their progress. In addition, Anuja and Namrata are kept busy following up on court cases involving the children, ensuring they are chaperoned at all times as they go back and forth to school, organizing child rescue raids and trying to make ends meet. They have great cooperation with the local authorities and the police who operate a child friendly corner in the local police station. GLAS has been supporting the EWSCT for several years and we paid for the top floor extension to the girls’ house. The global recession which kicked in from 2008 impacted the centre’s fundraising from the private sector, reducing its ability to do community outreach, and ending the music classes which Anuja considers an important therapy for the kids even if it is expensive to pay for the instruments. The boys accommodation needs an upgrade. It has reached its maximum capacity and badly needs an extension like the one for the girls’ house. It’s all done on an amazing monthly budget of about $6,000 for running costs and the abundant love and care which these kids receive from the dedicated staff led by Anuja and Namrata. It’s a joyful place to be.